This concludes my Hunter genealogy for now. 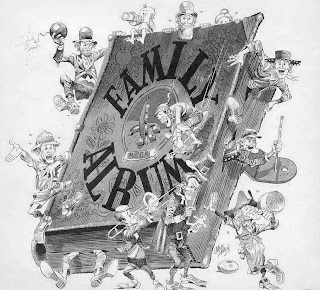 There are several more generations but now we are getting into the living folks, which most genealogist organizations avoid publishing for public view the live generations. I certainly would not want to be snubbed at for doing the wrong protocol. Next I will probably either do the Trammell family or the Petty family. 281. JAMES ARNOLD7 EVANS (NANCY LOUISA "LOU"6 ENGLAND, VIRGIL ALEXANDER EXTON "ECK"5, HARRIET E.4 HUNTER, JOHN3, WILLIAM2, SAMUEL1) was born 05 Aug 1931 in Gainesville, Hall, Ga, and died 19 Aug 1968 in Gainesville, Hall, Ga. He married MODENE PRUITT 04 Jun 1955 in Gainesville, Hall, Ga, daughter of CLARENCE PRUITT and MINNIE GAINES. She was born 18 Jun 1926 in , DeKalb, Ga.
472. i. BARBARA IRENE8 EVANS, b. 15 May 1957, Gainesville, Hall, Ga.
473. ii. JERRI ANN EVANS, b. 22 Jun 1958, Gainesville, Hall, Ga.
iii. DAVID ARNOLD EVANS, b. 08 Jul 1961, Gainesville, Hall, Ga.
iv. LOUISE ELLEN EVANS, b. 25 Jan 1965, Gainesville, Hall, Ga.
v. WILLIAM JAMES EVANS, b. 15 Aug 1967, Gainesville, Hall, Ga.
282. BURNIE IRENE7 HUDGINS (ALICE R.6 ENGLAND, VIRGIL ALEXANDER EXTON "ECK"5, HARRIET E.4 HUNTER, JOHN3, WILLIAM2, SAMUEL1) was born 21 Mar 1916 in Gainesville, Hall, Ga. She married HUBERT BENEFIELD in Gainesville, Hall, Ga. He was born Abt. 1915, and died in Gainesville, Hall, Ga.
474. i. CECIL WILLIAM8 BENEFIELD, b. 19 Nov 1949, Gainesville, Hall, Ga.
283. HOMER BENNET7 HUDGINS (ALICE R.6 ENGLAND, VIRGIL ALEXANDER EXTON "ECK"5, HARRIET E.4 HUNTER, JOHN3, WILLIAM2, SAMUEL1) was born 18 Nov 1924 in Gainesville, Hall, Ga. He married BLANCHE HONIE in Gainesville, Hall, Ga. She was born Abt. 1925 in Gainesville, Hall, Ga.
i. RICHARD8 HUDGINS, b. Aft. 1940, Gainesville, Hall, Ga.
284. MARVIN LLOYD7 ENGLAND (RAYMOND JOHN6, VIRGIL ALEXANDER EXTON "ECK"5, HARRIET E.4 HUNTER, JOHN3, WILLIAM2, SAMUEL1) was born 10 May 1920 in , Hall, Ga. He married HELEN ALBERTSON 18 Oct 1952. She was born 21 Oct 1928 in Gainesville, Hall, Ga.
i. CHRISTOPHER DWIGHT8 ENGLAND109, b. 12 Feb 1958, , Hall, Ga.
ii. MELISA GAYE ENGLAND, b. 27 May 1960, , Hall, Ga.
285. EDWARD LEE7 ENGLAND (RAYMOND JOHN6, VIRGIL ALEXANDER EXTON "ECK"5, HARRIET E.4 HUNTER, JOHN3, WILLIAM2, SAMUEL1) was born 21 May 1921 in , Hall, Ga. He married ARDELLA SEAY 04 Nov 1950 in , Hall, Ga. She was born 30 Jun 1925 in Gainesville, Hall, Ga.
i. LYNN MICHELLE8 ENGLAND109, b. 07 Jun 1958, , Hall, Ga; m. STEVE LYNN THRACHER, 23 Apr 1977, Gainesville, Hall, Ga; b. 05 Jul 1956, Atlanta, Fulton, Ga.
286. MARY EDITH7 ENGLAND (RAYMOND JOHN6, VIRGIL ALEXANDER EXTON "ECK"5, HARRIET E.4 HUNTER, JOHN3, WILLIAM2, SAMUEL1) was born 07 Nov 1922 in , Hall, Ga. She married CHARLES M. DYER 11 Jul 1942 in , Hall, Ga. He was born 19 Jul 1921 in Gainesville, Hall, Ga, and died 11 Aug 1977. 475. i. PHILLIS GAIL8 DYER, b. 05 Mar 1946, Gainesville, Hall, Ga.
287. THOMAS JAMES7 ENGLAND (RAYMOND JOHN6, VIRGIL ALEXANDER EXTON "ECK"5, HARRIET E.4 HUNTER, JOHN3, WILLIAM2, SAMUEL1) was born 04 Apr 1924 in , Hall, Ga, and died 28 Nov 2005110. He married (1) BOBBIE DORSEY111 02 Sep 1945 in Gainesville, Hall, Ga. She was born Abt. 1925. He married (2) RILLA MCLANDON-GIBBS 1969 in , Dawson, Ga. She was born Abt. 1924. He married (3) JOYCE MODANE COLLARD-LEWIS 02 Nov 1977 in Gainesville, Hall, Ga, daughter of JESSE COLLARD-LEWIS and CARMAN DUVALL. She was born Abt. 1925.
i. JOHN RAYMOND "JOHNNY"8 ENGLAND111, b. 05 Jun 1946, , Hall, Ga; d. 13 May 1996, Gainesville, Hall, Ga; m. SHERRI EMMETT, Gainesville, Hall, Ga; b. Abt. 1946.
ii. GARY MITCHELL ENGLAND, b. 20 Jun 1952, , Hall, Ga.
iii. JOY YVONNE ENGLAND, b. 18 Dec 1954, Gainesville, Hall, Ga.
iv. VIRGINIA LORAINE8 LEWIS-ENGLAND, b. 22 Feb 1962, Knoxville, , Tn; m. SCOTT WARD; b. Abt. 1960. 288. GROVER EDWARD7 SIMPSON (MATTIE IRENE6 ENGLAND, VIRGIL ALEXANDER EXTON "ECK"5, HARRIET E.4 HUNTER, JOHN3, WILLIAM2, SAMUEL1)111 was born 24 Nov 1914 in , Hall, Ga, and died 14 May 1979 in Gainesville, Hall, Ga. He married LILLIAN ELIZABETH FREEMAN 05 Oct 1941 in Walhalla, , SC. She was born 20 Apr 1918 in , Swain, Ga.
i. LINDA SUE8 SIMPSON, b. 12 Nov 1945, Gainesville, Hall, Ga; m. FRANKLIN M. HARRISON; b. 01 Jun 1969, Gainesville, Hall, Ga.
476. ii. JAMES EDWARD SIMPSON, b. 26 Dec 1946, Gainesville, Hall, Ga.
477. iii. GROVER JACKSON SIMPSON, b. 02 Apr 1948, Gainesville, Hall, Ga.
iv. GLORIA MATTILENE SIMPSON, b. 02 Nov 1956, Gainesville, Hall, Ga; m. GLEN JONES, 09 Sep 1977, Gainesville, Hall, Ga; b. 04 Jan 1949, Dahlonega, Lumpkin, Ga.
478. v. JEFFERY D. SIMPSON, b. 01 Sep 1961, Gainesville, Hall, Ga.
289. MOZELLE7 SIMPSON (MATTIE IRENE6 ENGLAND, VIRGIL ALEXANDER EXTON "ECK"5, HARRIET E.4 HUNTER, JOHN3, WILLIAM2, SAMUEL1) was born 23 Sep 1920 in , Hall, Ga. She married REX CARL WILEY111 26 Jan 1952 in , Hall, Ga. He was born 27 Jun 1918 in Cleveland, White, Ga.
i. REXAN8 WILEY, b. 05 Oct 1955, Atlanta, Fulton, Ga.
290. JAMES ARNOLD7 ENGLAND (ARNIE6, VIRGIL ALEXANDER EXTON "ECK"5, HARRIET E.4 HUNTER, JOHN3, WILLIAM2, SAMUEL1) was born 10 Apr 1928 in , Hall, Ga. He married DOROTHY VIRGINIA GEE 07 Mar 1928 in Dawsonville, , Ga. She was born 11 Jan 1932 in , Hall, Ga.
i. JAMES TERRY8 ENGLAND, b. 14 Apr 1952, , Hall, Ga; d. 11 May 1976; m. MARSHA DENISE STRICKLAND, 08 Feb 1971, , , SC; b. Abt. 1952, , Hall, Ga.
ii. ARNIE ANTHONY ENGLAND, b. 24 Jul 1954, , Hall, Ga; m. FAY EVON KELLY, 30 Oct 1975, , Hall, Ga; b. Abt. 1955.
iii. CONNIE VOLINA ENGLAND, b. 17 Aug 1957, , Hall, Ga.
iv. VICKIE ELANIE ENGLAND, b. 26 Feb 1960, , Hall, Ga.
291. PAT7 ENGLAND (PATRICK B.6, VIRGIL ALEXANDER EXTON "ECK"5, HARRIET E.4 HUNTER, JOHN3, WILLIAM2, SAMUEL1) was born 05 Oct 1930 in , Hall, Ga, and died 08 May 2007. He married ELLON HATCHER 17 Apr 1963 in , Hall, Ga. She was born 14 Jun 1944. PAT "JUNIOR" ENGLAND, 76, of Gainesville died Tuesday. Funeral, 11 a.m. Friday, Calvary Baptist Church; Memorial Park Funeral Home. Published in The Atlanta Journal-Constitution on 5/9/2007. i. LIONEL DWAYNE8 ENGLAND, b. 13 Dec 1966, , Hall, Ga.
292. CHARLES EDWARD7 ENGLAND (PATRICK B.6, VIRGIL ALEXANDER EXTON "ECK"5, HARRIET E.4 HUNTER, JOHN3, WILLIAM2, SAMUEL1) was born 05 Mar 1933 in , Hall, Ga. He married VELMA DARROOTT. She was born Abt. 1933.
i. JARVIS RANDY8 ENGLAND, b. 16 Jul 1956, , Gwinette, Ga.
ii. TIMOTHY WADE ENGLAND, b. 18 May 1965, , DeKalb, Ga.
293. SHIRLEY MAE7 ENGLAND (PATRICK B.6, VIRGIL ALEXANDER EXTON "ECK"5, HARRIET E.4 HUNTER, JOHN3, WILLIAM2, SAMUEL1) was born 22 Jun 1938 in , Hall, Ga. She married BURL GRAHAM. He was born Abt. 1938.
i. DAVID8 GRAHAM, b. Aft. 1954.
ii. DEBBIE GRAHAM, b. Aft. 1954. 294. JAMES HARTWELL7 ENGLAND (PATRICK B.6, VIRGIL ALEXANDER EXTON "ECK"5, HARRIET E.4 HUNTER, JOHN3, WILLIAM2, SAMUEL1) was born 15 Apr 1942 in , Hall, Ga. He married JUDY GREENWAY. She was born Abt. 1942.
i. CHRIS8 ENGLAND, b. Aft. 1960.
ii. REESE ENGLAND, b. Aft. 1960. 295. GERALD7 ENGLAND (CLAUDE6, JAMES A. POLK5, HARRIET E.4 HUNTER, JOHN3, WILLIAM2, SAMUEL1)111 was born 18 Nov 1927 in , Garvin, Ok. He married NEOMA JEAN RUSSELL 20 Sep 1952 in Paul's Valley, , Ok. She was born Abt. 1930.
i. GERALD GREGORY8 ENGLAND, b. 06 Nov 1954, Lindsey, Garvin, Ok.
296. WILLIE ANDREW7 ENGLAND (CLAUDE6, JAMES A. POLK5, HARRIET E.4 HUNTER, JOHN3, WILLIAM2, SAMUEL1) was born 19 Mar 1930 in , Garvin, Ok, and died Aft. 1984. He married ROSETTA LOUISE SIMPSON 04 Jan 1949 in Liberal, , Kn. She was born Abt. 1930.
i. SHARON KAY8 ENGLAND, b. 21 Mar 1950, Liberal, , Kn. 297. LEROA ELLIS7 ENGLAND (CLAUDE6, JAMES A. POLK5, HARRIET E.4 HUNTER, JOHN3, WILLIAM2, SAMUEL1) was born 28 Feb 1933 in , Garvin, Ok. She married LEROY A. COOPER111 11 Jan 1952 in Lindsey, Garvin, Ok. He was born Abt. 1900.
i. GARY LEE8 COOPER111, b. 15 Jan 1953, Lindsey, Garvin, Ok.
ii. CAROLYN ANN COOPER, b. 26 Aug 1954, Lindsey, Garvin, Ok.
iii. DNNA KAYE COOPER, b. 03 May 1956, Lindsey, Garvin, Ok.
298. CLAUDINE HORACE7 ENGLAND (CLAUDE6, JAMES A. POLK5, HARRIET E.4 HUNTER, JOHN3, WILLIAM2, SAMUEL1) was born 03 Jan 1935 in , Garvin, Ok. He married SHIRLEY MAE WIDERLECHER 01 Dec 1956 in Cicero, , Il. She was born Abt. 1935.
i. LINDA LEE8 ENGLAND111, b. 07 Dec 1957, Beruyn, , Il. ii. BECKY LYNN ENGLAND, b. 16 Apr 1959, Paul's Valley, , Ok.
iii. RICHARD ALAN ENGLAND, b. 09 Sep 1961, Woodward, , Ok.
299. JIMMY PAUL7 ENGLAND (CLAUDE6, JAMES A. POLK5, HARRIET E.4 HUNTER, JOHN3, WILLIAM2, SAMUEL1)111 was born 26 Feb 1936 in , Garvin, Ok. He married BARBARA FERN CONDIT 30 Nov 1957 in Lindsey, Garvin, Ok. She was born Abt. 1936.
i. JIMMY DWANE8 ENGLAND111, b. 30 Jul 1961, Lindsey, Garvin, Ok.
ii. BOBBY JOE ENGLAND, b. 23 Dec 1962, Lindsey, Garvin, Ok.
iii. MELODY ENGLAND, b. 04 Jun 1964, Lindsey, Garvin, Ok.
iv. MALANY RENA ENGLAND, b. 29 Nov 1966, Lindsey, Garvin, Ok.
300. CHARLES ISAAC7 WILSON (BONNIE MARGARET6 BALLEW, EMMA JANE5 ENGLAND, HARRIET E.4 HUNTER, JOHN3, WILLIAM2, SAMUEL1) was born 15 Sep 1925 in Blairsville, Union, Ga, and died Abt. 1995 in Rogersville, , Tn. He married ELLEN S. HEDDEN 04 Jun 1950 in , Anderson Co, SC, daughter of EDD HEDDEN and ELLEN STROUD. She was born Abt. 1925.
i. BENJAMIN H.8 WILSON111, b. 20 Feb 1951, Young Harris, Towns, Ga.
479. ii. NANCY J. WILSON, b. 01 Apr 1952, Murphy, Cherokee, NC. Your blog turned up in a google alert on my name "Gerald England" - I'm not the genealogist in our family and I'm not aware of us having any American cousins but it is interesting to encounter you. There are many people with the surname England in north Georgia who all descended from Richard England. Two of Richard's children married Hunters - my surname.